US Attorney General says arrest of Israeli-American teen ends investigation 'spanning multiple continents' into hundreds of bomb threats. 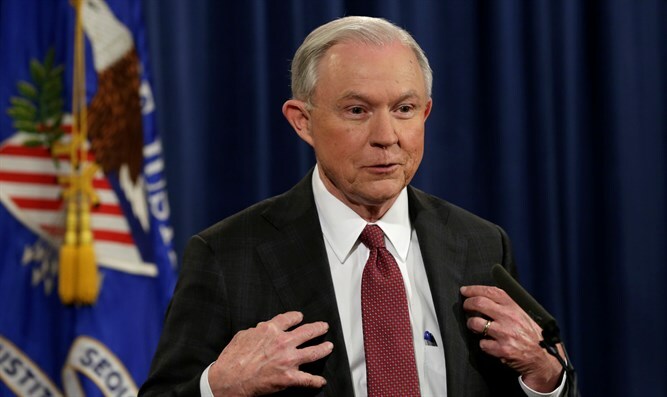 “Today’s arrest in Israel is the culmination of a large-scale investigation spanning multiple continents for hate crimes against Jewish communities across our country,” Sessions said in a statement Thursday morning after news of the arrest broke. Israel’s anti-fraud squad arrested the 19-year-old Israeli-American suspect at his home in southern Israel and searched the premises. He also is accused of a series of threats made in Europe, Australia, New Zealand, and Israel in the past two and a half years, according to reports in Israel.